Most of us are aware that we have intuition, and that intuition is a sense (like one of the five senses) which is real and does exist. Rather than being something that is used on a regular basis, however, intuition appears to be elusive and evasive to many people. Maybe there are some limiting factors that block it? While senses such as taste, touch, sight and smell are very easy to utilize and trust, intuition, which is more subtle, tends to fall by the wayside, with the exception of cases of dire emergency, in which it comes through very strongly and is almost impossible to ignore. 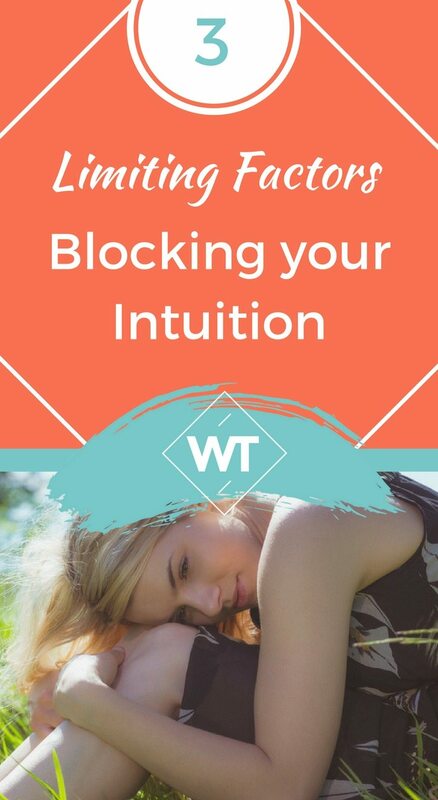 Because intuition is a subtle sense, it’s very easy for people to block it, and not pay attention to it when it comes though. 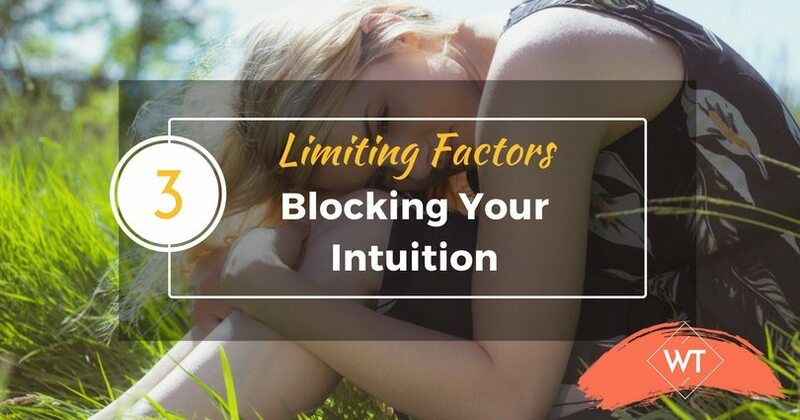 So what are the limiting factors that block intuition? The analytical mind, which was trained to take the lead in school, and works very hard to see things rationally and “figure things out” until they make sense, is the number one thing that blocks intuition. Intuition is not rational. It does not always make sense. And so, rather than trust something that makes no sense, many people decide to go the regular route of thinking logically and making decisions based on their what their mind tells them is correct. Listening to the ego is a huge block to the intuitive process. The ego is the part of a person that is very small, very un-enlightened, and very self-centered. The ego approaches the world from a place of fear, and sees everything and everyone as a potential threat. Overcoming the voice of the ego is extremely difficult to do. The ego can get so loud at times that it drowns out any and all intuitive guidance. It’s that voice in your head that just chatters on and on, thinking about other people, worrying, feeling hurt and self-important and judgmental. It is almost impossible to not be influenced by others. We all live in the same world, after all, and we need to conform in order to survive. However, one of the biggest factors thatshuts down intuition is asking for the opinion of other people. Sometimes it’s not even asking for their opinion, but rather doing things that you would think that they would approve of – sometimes knowingly, and sometimes just automatically, by nature of habit. Many of us, when faced with a decision, are very comfortable asking other people what they think. It makes sense, after all, right? Why not ask others for advice? The problem with this is that if you’re interested in learning to develop and trust your intuition, you must follow your own guidance, and not that of other people. Many times, they don’t know any more than you do, so trusting their opinions over the voice of your intuition can result in decisions that might not be for your highest good. Intuition is very subtle, soft, and quiet. In order to listen to it and follow its guidance, we have to learn how to quiet the mind, release the desperate need of the ego to be right, and stop asking others what they think about our decisions and our lives. Intuition is a very personal thing, and while it is one of the basic senses we are all equipped with, it is also something that can bring us closer to enlightenment, if we let it. It is a practical, yet also spiritual, sense. Therefore, it is very personal. What your intuition wants for your best might not be what someone else’s intuition may want. If you want to follow your intuition and let it help you lead a happier, more peaceful life, you must give it a chance to show you what it can do for you. Make the conscious decision to listen to and trust your intuition first, before worrying about the limiting factors – like feeding your ego, and talking to other people. Your intuition is here for you, and once you decide to give it a chance, it will definitely start to work for you.